Provides infinitely variable capacity and discharge pressure and is suitable for continuous start/stop applications. Use these pumps for water, oil and other fluids. With oulet pressure options available up t0 2410 bar, these stainless steel pumps are ideal for numerous industrial applications. 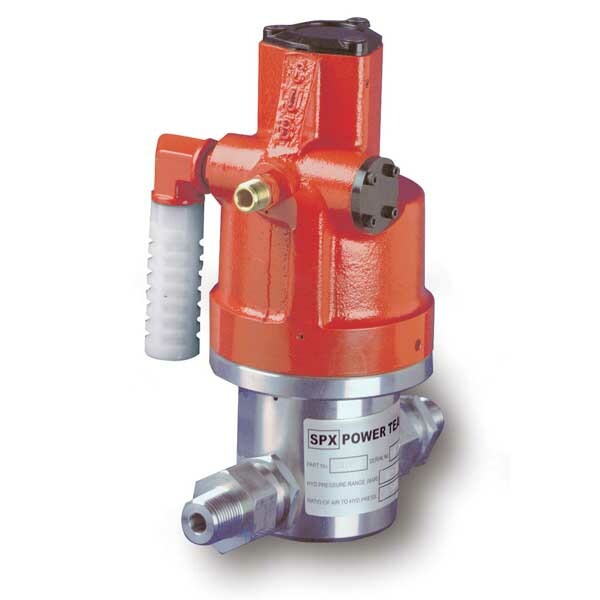 Here at SGS, we have a range of multi-fluid hydraulic pumps in stock that are suitable for continuous stop and start operations and used for water, oil and other fluids. Ideal for numerous industrial applications, you can find any multi-fluid pump you might need from our online shop, with a range of outlet pressure options available up to 2410 bar. Our multi-fluid air pumps are made from durable stainless steel, making them ideal for many industrial applications. To make your life even easier, the pumps have been designed to be compact, simple to install and easy to maintain, as well as operating quietly. When you buy from the PUA/PMA Series from Power Team, you can find a hydraulic pump that pumps fluids at exceptional pressures, ranging from 26 bar all the way up to 2410 bar. They also provide infinitely variable capacity and discharge pressure, as well as maintaining pressure with minimal power consumption. 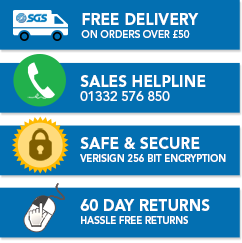 When you shop with us at SGS, you can rest assured that you’re buying quality products. We have many years of experience in precision engineering and as such, we only stock products from leading manufacturers. Plus, our branded products go through stringent quality and performance checks before they hit our shelves. If you’re looking for PUA/PMA air operated multi-fluid hydraulic pumps, browse our full range, or contact us on 01332 576 850 or via our online form if you have any queries.